The Daily Dimwit: No Really, I'm Still Here... Trade With Me! Hey everyone, I wanted to stop in and post a blog on this lazy Sunday. I have been a horrible blogger of late. I've gotten lazy. It's been faster and easier to show off my stuff on Twitter (@thedimwit). Well, I want to post here more because I'm getting no where with trading on Twitter. I figure the trade lands are more fertile in the blogs, where people are actually worried about their collections and organizing their trade bait rather than trying to make a quick buck selling their cards via tweet. So here's the deal: I WANT TO TRADE. I want to get these cards that don't fit in my collection moving out to you all and for you to be able to do the same. 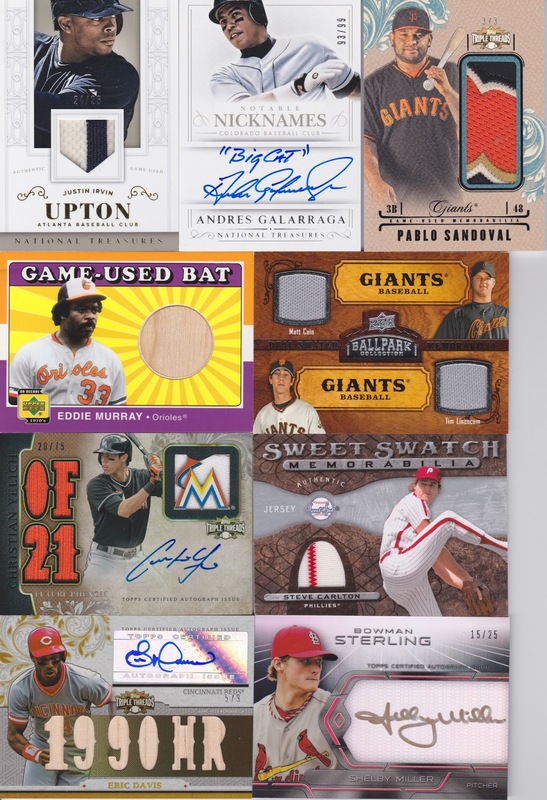 So here we go, throwing up a bunch of trade bait and hoping to get some offers rolling in... 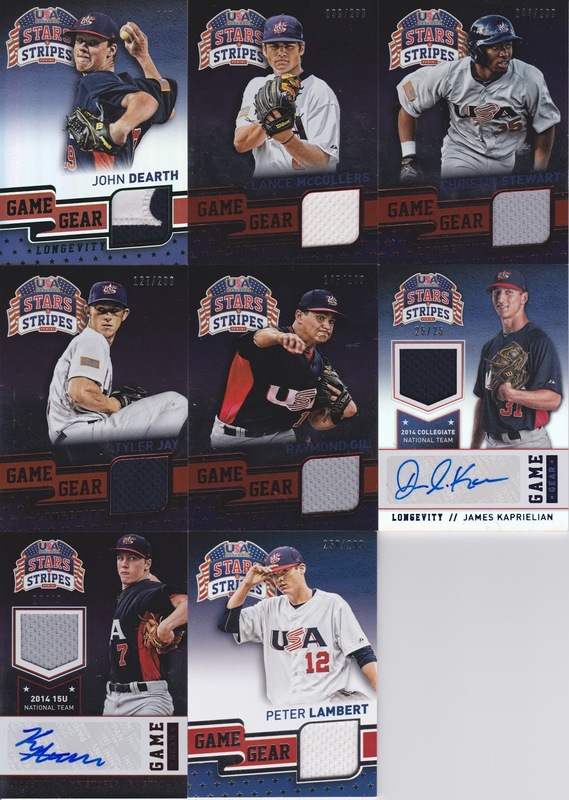 So, first up I have a bunch of hits from Panini's newest USA product, including a nice patch #'ed /5! Ok, so the top middle is Lance McCullers, he's not going anywhere. Anything else = trade bait. The John Dearth is #'ed 4/5. So here's a sampling of what else I have to offer... if you have Astros stuff you want to trade or get rid of, let me know, I'd love to overpay for it. Really, I've got trade bait coming out of my ears. If Tyler Jay is drafted by the Cubs tomorrow, then I'm calling dibs! This year's draft seems to be pretty unpredictable though. See, I think the Women's World Cup would be fine if the players dressed like Jessica Hall. I mean if you don't want that Shelby Miller I'll gladly take it. Here's my email. Superduperman99@yahoo.com. Just let me know when you get the chance. Thanks!